After yesterday's announcement that the officers responsible for 12-year-old Tamir Rice's death last November would not be indicted for his murder, many of us took to social media to express our heartbreak, outrage, and confusion. It's hard for us to fathom that a child could be killed, and his murderers not be brought to justice. And yet, we have become accustomed to the term "no indictment." And still, this is not something we should have to be accustomed to. And still, we are left without the words to articulate the amount of grief we feel for Tamir and his family, and anger we feel at the broken American justice system. However, poet and activist Eris Eady found the words that many of us have been searching for in her poem, "Dear Tamir." 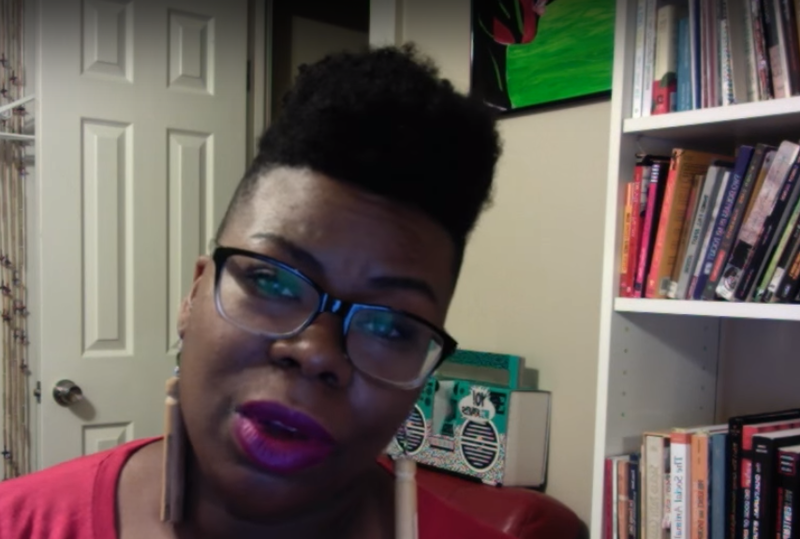 Eady, who describes herself as a "cis-queer, sophistiratchet, nappy headed, heavy bottomed, black chick from Cleveland, Ohio," wrote the poem and uploaded a version of it on YouTube. Check out the video and its text below. It’s the least she could do.